Oh, ho hum just a little weekend in Paris. Living in Germany, sometimes I pinch myself when I look at a map and see that living in central Europe has its perks. Like the ability to get to so many cities and places in a short time. For Americans living in Europe, distance is nothing to us. My wife’s family lives in New York State & mine in North Carolina, and we have driven the 600 mile trip many times before. Or, living in North Carolina, many people will drive 4 hours to get to the coast. But, knowing that Paris is just a 3 hour train ride from our home in Germany, it is crazy for us to now take advantage of the proximity. Amanda & I have both been before to Paris, but not together. Also, her brother Josh & sister-in-law Audrey were visiting for the first time, so they also went along. 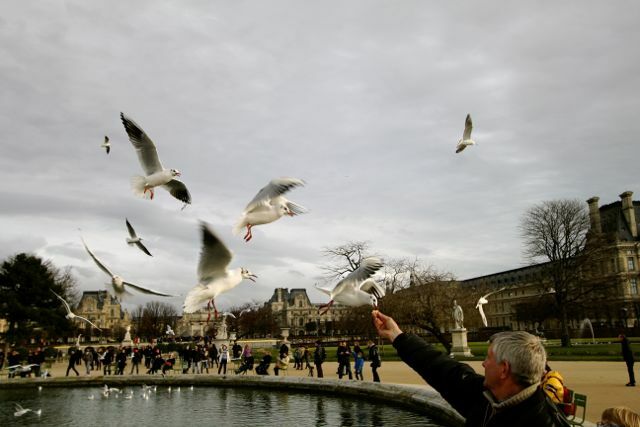 Paris is a beautiful, romantic city. With it being so close, we will be back before we return home to the States. On this weekend, I had just arrived back from visiting my family in North Carolina for Christmas on the 3rd of January, and our train left the next morning at 7:30am. After 3 hours, we were in the heart of Paris headed to our hotel, which already had our rooms available. After checking in and dropping our stuff in the rooms, we headed out for a walk through Paris. 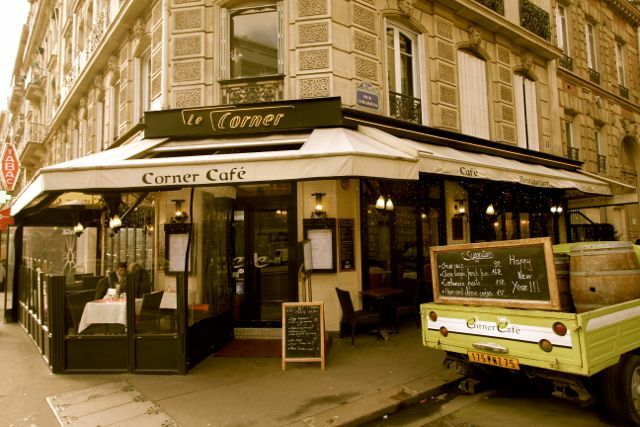 Our first stop was lunch at a nearby Cafe, then to the Arc de Triomphe, down the Champs Elysees to the Louvre Museum, and then to Notre Dame Cathedral. We did not quite make it to Notre Dame, because that’s when the rains came, so we took the Metro back to our hotel. 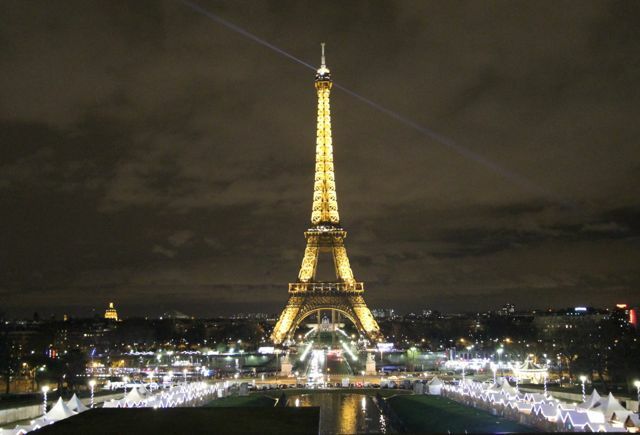 That night after dinner, we watched the Eiffel Tower lit up at night, including its light show at the top of the hour. After, we called it a night. 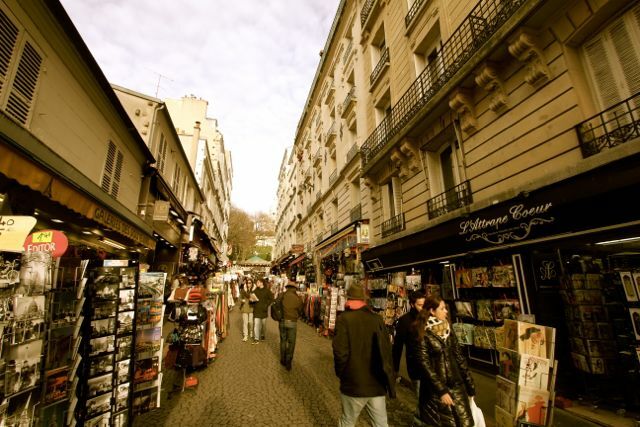 The next day after checking out, we took the Metro to Montmartre, which is the highest point in Paris to see the artsy community there and to walk around the Basilica of the Sacred Heart of Paris, commonly known as Sacré-Cœur Basilica. 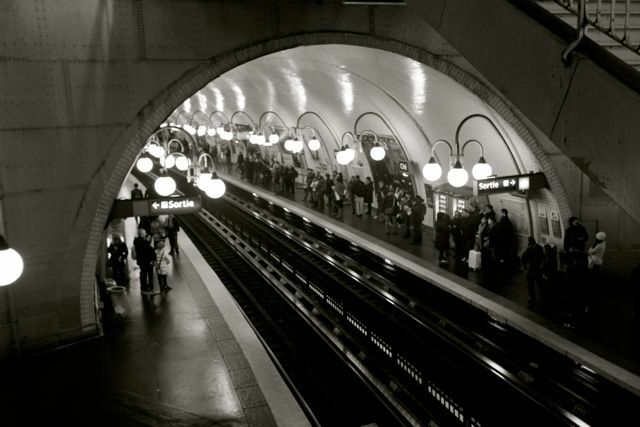 From there, we headed back to the train station in Paris to head back to Germany. It was a great trip!! 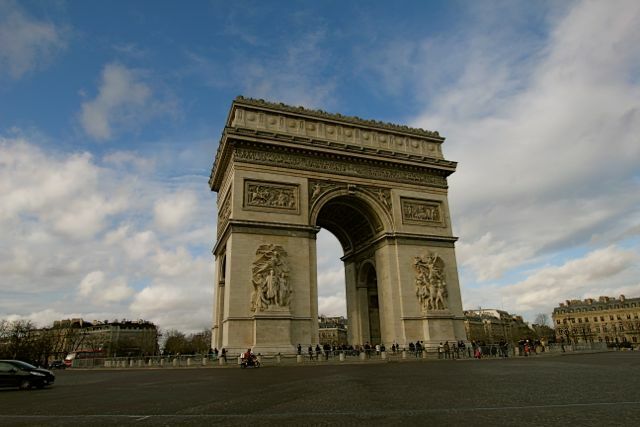 Arc de Triomphe stands 50 meters high (165ft) by 45 meters wide (150ft) by 22 meters (75 feet) deep. 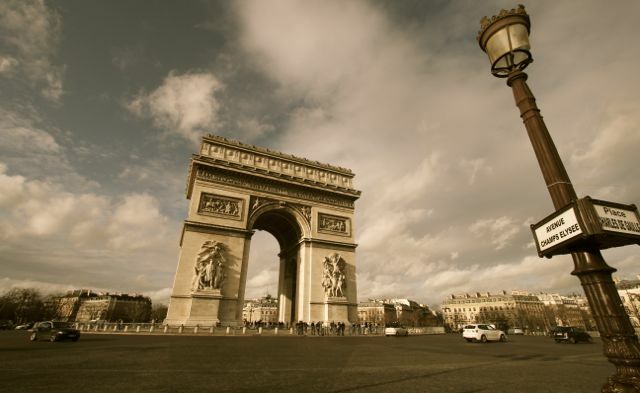 Originally built to honor those that died during the French Revolution, throughout history numerous parades have been conducted around the structure both by invading armies and by the French in celebrations of victories across numerous wars. 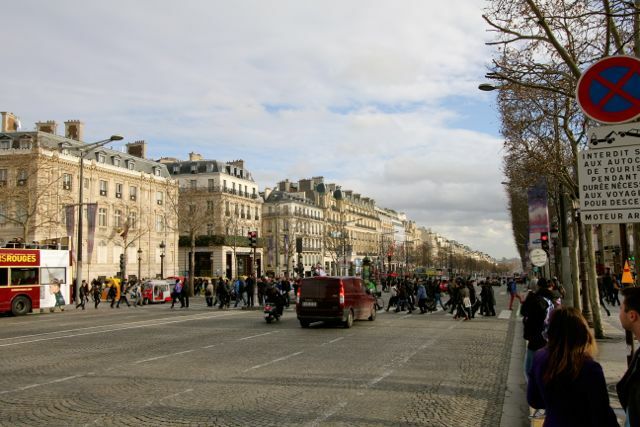 The Arc stands at the end of the street Champs Elysees with the Louvre Museum at the opposite end. 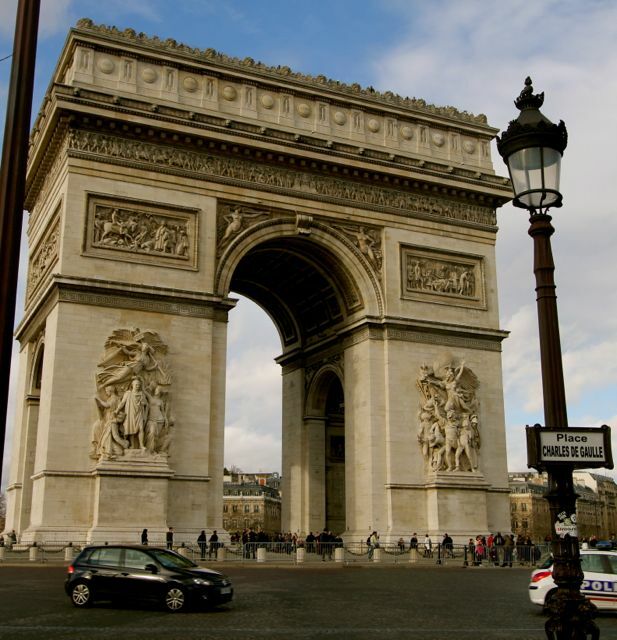 A large traffic circle and throngs of tourists are the types of action the Arc sees today. 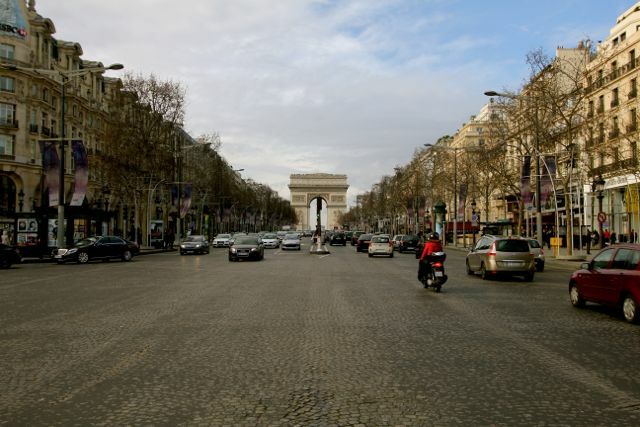 Our walk continues down the fancy Champs Elysees. Why fancy? This is where all of the high-end shops and boutiques are located. Napoleon wanted a grand entryway into Paris. 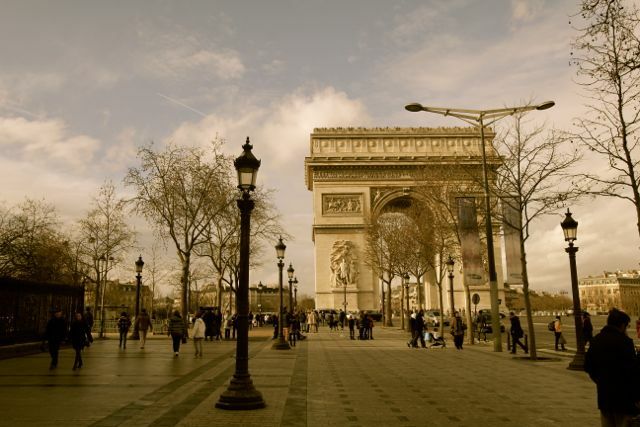 What was originally intended as a wide street to parade his military strength, is today home to Louis Vitton and Chanel and on and on. 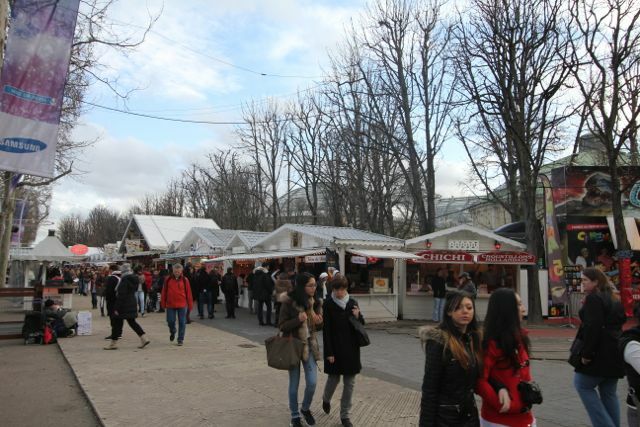 We were surprised that Paris still has its Christmas Markets running? In Germany, ours ended on 24 December. 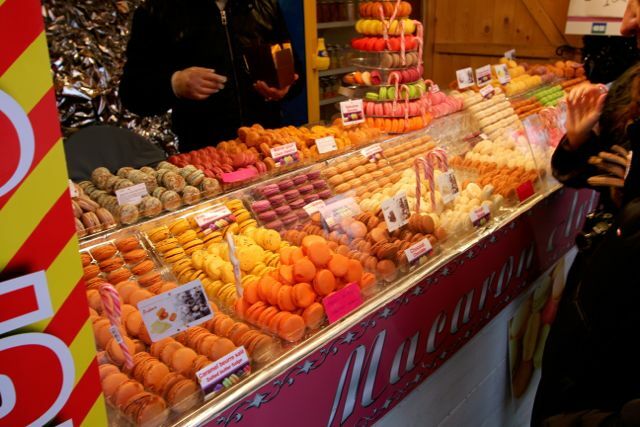 If ever vising Paris or can find this treat in a specialty shop Stateside, these delicious things are called Macarons, which are little cake-candy things that come in different flavors. 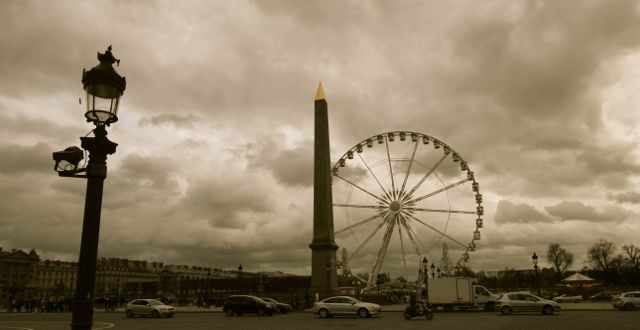 Where this Egyptian monolith stands is the site where the large guillotine stands were located in the Place de la Concorde, which is one of the largest open squares in Paris. This was the location of where King Louis XVI and Marie Antionette were beheaded during the French Revolution…you know….of the “Let them eat cake” fame. Of course, many were beheaded here…. 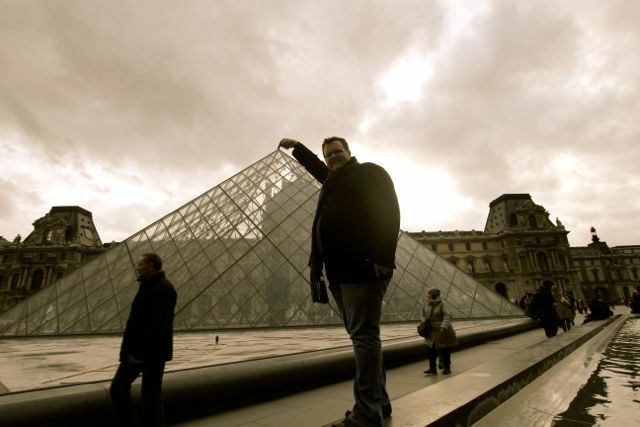 On our walk, we made it to the Louvre Museum. We did not tour inside, but took in the sights and sounds outside. 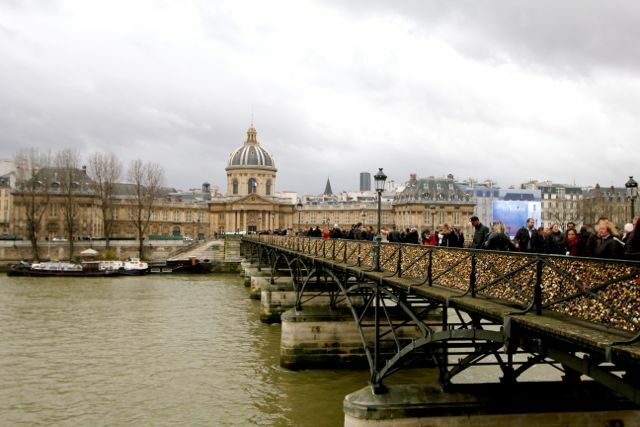 So leaving the Louvre and headed to Notre Dame, you cross this famous bridge that has become decorated with “Locks of Love”. 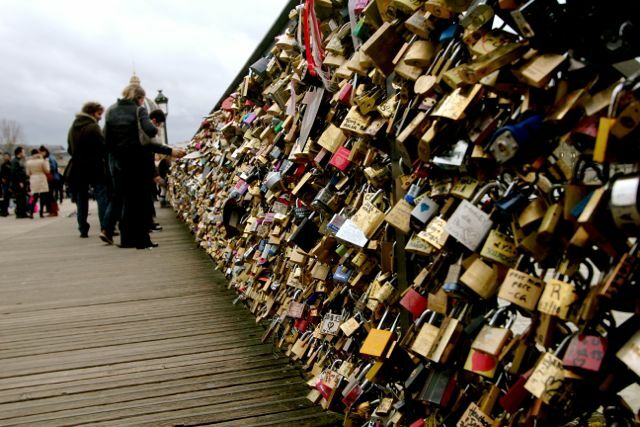 The tradition here is that you and your loved one write your name on a lock, attach it to the fence, and throw the key into the River Seine. This will ensure that you will always be together. 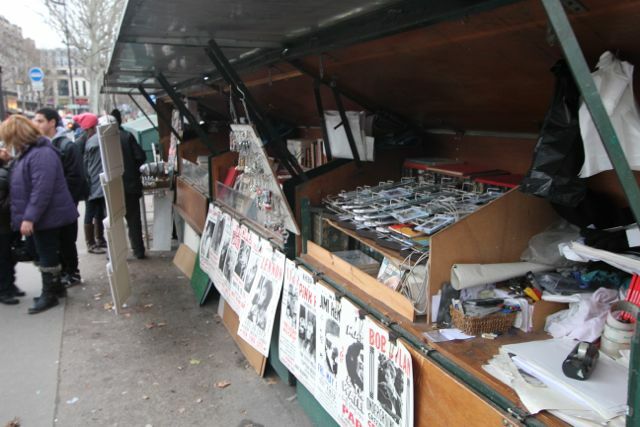 Along the Left Bank of the River Seine, are these wooden book stands (Les Bouquinistes), where dealers sell souiveneers, old books, maps, etc. After dinner, we walked over to the Trocadero plaza to catch our glimpse of the Eiffel Tower. I remembered seeing the Eiffel Tower the last time I visited in 2003 and at the top of each hour, it lit up in hundreds of twinkling lights. Amanda had not seen that before, so we waited 45 minutes until the show….but what a view! Day 2: after checking out, we visited Montmartre, which is the highest point in Paris. 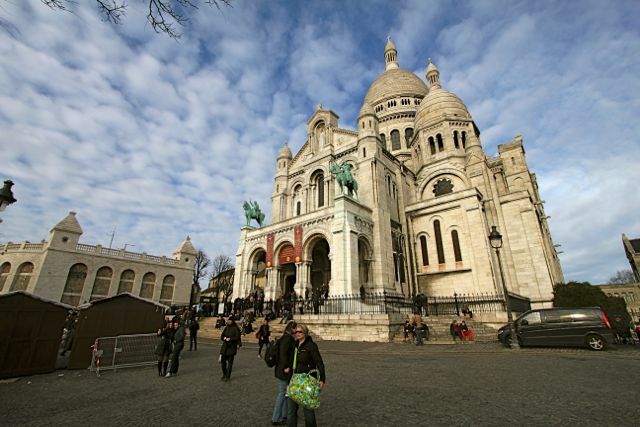 At the peak of Montmartre sits the Basilica of the Sacred Heart of Paris, commonly known as Sacré-Cœur Basilica. 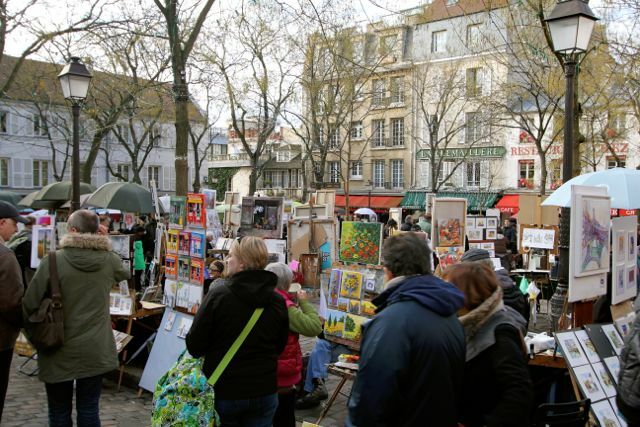 The small town square in Montmartre is setup with artists painting and selling their artwork. 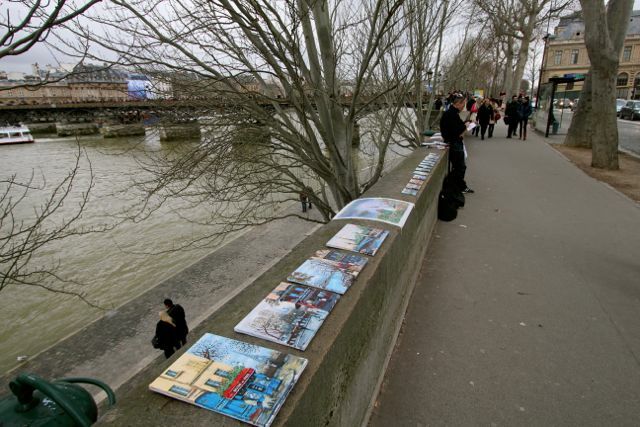 A tradition that has been in place here since the days of Monet and Renior. Our trip in Paris has ended, and now time to find our train back to Germany…..hey, what is this….why am I coughing…I sure hope I am not getting sick?? Next: Next post: Do You Know What the Longest German Word Is? Rindfleischetikettierungsüberwachungsaufgabenübertragungsgesetz — Yes, German Is Easy!